OSE 8mm Anti Spark Female Connector for batteries. Anyone thats ever powered up a 8s or higher power system know the dreaded spark that scares us all to death and at the same time ruins the connector. 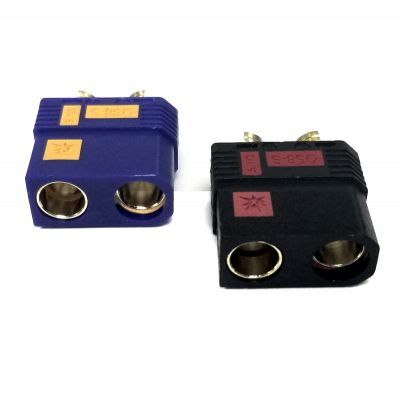 This female gold plated bullet connector when combined with pn# ose-qs8-anti has a anti spark housing that will reduce this spark to almost nothing. These are a must for high current/high voltage brushless power systems. Includes: (1) Single female connector for battery pack.